Drums & Crumbs is a mobile restaurant based in the San Francisco Bay Area. We serve authentic southern cuisine to San Francisco and the North Bay area and also provide an array of catering services for special events and weddings. Our business was created when two southern natives met in New York City and decided to open a food business together on the west coast. Our business is built on a shared love of thoughtful, well-executed food and a shared appreciation for the way good food brings people together. Our menu is made from local California ingredients in a fresh and sophisticated way that was inspired by our years in New York City. 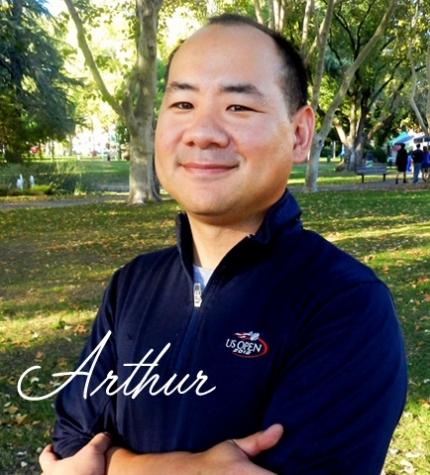 ARTHUR CHANG was born and raised in Memphis, Tennessee. An elevated appreciation for food and an entrepreneurial spirit must run in his blood, because his father was a celebrated and acclaimed chef and restaurateur in Memphis. Consequently, Arthur saw the ins and outs of the restaurant business from a young age, busing tables, bar tending, performing various food preparation jobs in the kitchen, and learning to cook. While in college at the University of Tennessee, he forayed into the world of wine, taking wine education classes and working at a local wine store. Arthur spent a year at law school but discovered the legal life was not his calling and instead managed a wine store and taught classes on wine tasting. His first “career” began when he moved to Nashville to work in finance, which paved the way to New York City where he worked for a couple of well known financial firms over the next seven years. Even then, food was always on his mind. By 2012, Arthur knew it was time for something else. He weighed his options inside the world of finance but he knew his passion laid elsewhere. Sometime that spring, Rachel had planted the idea of collaborating on a new business that would combine his love of fried chicken with her love of baking, and by the end of the year Arthur was adjusting to a new west coast life in San Francisco with plans to move to Sonoma to launch Drums & Crumbs. Arthur’s strengths include his business background, intimate familiarity with the food and beverage industry, determination, self-discipline, gentlemanliness and lifelong love of food. He’s also somehow held on to his sweet Tennessee accent. RACHEL HUNDLEY is a southerner through and through. She was born and raised in Charleston, SC, lived in Montgomery, AL for about 10 years as a kid, and studied as an undergrad in Georgia. It was while she was in law school in North Carolina that Rachel discovered her knack for (and love of) baking. She spent her last year in school obsessively baking pies and fantasizing about opening a bakery. A job offer took her to New York City, where she worked as a litigation attorney at a large law firm. That was also where she met Arthur. A few years later, the suffering economy took its toll on the corporate legal industry, and Rachel found herself in search of another job. She met up with Arthur one afternoon (probably to complain about having to find another job) at a bakery with a Help Wanted sign in the window. With Arthur’s encouragement, she filled out an application and was hired on the spot. The experience confirmed what she had suspected all along: selling high-quality, delicious food was both fulfilling and inspiring. Six months later Rachel moved to California with the intent to open a bakery. It wasn’t long before she realized how much better the experience would be if it was shared with someone else, so she picked the most trustworthy and hardworking person she knew (someone who also loved food as much as she did) and put her attorney powers of persuasion to work. 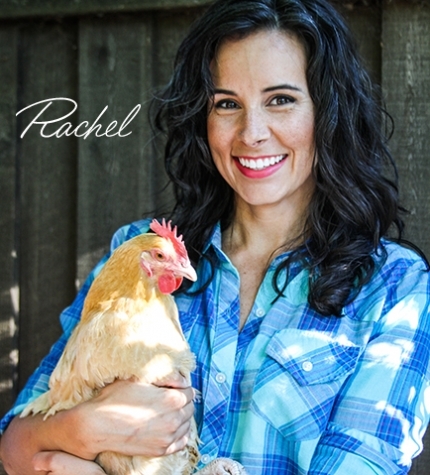 Rachel’s strengths include her legal background, knack for baking, eye for design, affinity for the written word, love of bringing people together, open mind, sweet smile and willingness to take a chance on something she believes in. Whatever the occasion, from office luncheon to outdoor wedding reception, Drums & Crumbs provides a crowd-pleasing selection of authentic southern cuisine, including vegetarian options. Follow the food truck schedule on our Facebook page: www.facebook.com/drumsandcrumbs!